The Foreign Trade University has used the StoxPlus’ database platform in four areas of research with an aim to boost the school’s scientific study activities during 2017-19. The university emphasised that the research carried out under these heads will not only be recognised by the international science community but will also be applied practically to address some immediate obstacles that have been hampering reforms in Viet Nam’s economy and obstructing its growth. Speaking at a ceremony held on Wednesday where the announcement was made, the head of the Foreign Trade University, Bui Anh Tuan, said the school has always had faith in its researchers and they must fulfil their commitment to come up with high-quality scientific studies. The 24 groups of researchers, who used StoxPlus’ platform in conducting research papers, will publish 35 scientific studies in the next three years in international science magazines recognised by the US-based Information Sciences Institute (ISI). In order to support these researchers, currently employed by the Foreign Trade University, the school issued a regulation for these research groups to ensure the best working conditions for them and maximise their capabilities in carrying out scientific research. The university also funded an initial amount of US$4.375 million for the research groups. According to the General Secretary of the State Council for Professor Title, Tran Van Nhung, the funding proves that the Foreign Trade University is capable of conducting scientific research and the school will make progress when it comes to international ranking of universities. To support the research groups, the Foreign Trade University co-operated with StoxPlus, a joint-venture financial and business information corporation of Nikkei and QUICK Corp. This platform helped researchers gain access to StoxPlus’ database on Viet Nam’s economy and financial markets. At the ceremony, the university and StoxPlus also gave awards to three research groups for best research works, including one on volatility timing in the stock market and another on the impact of the macroeconomic variables on premium risks provision. The two sides also signed a comprehensive agreement to promote co-operation and enhance the effectiveness of scientific research conducted by the school. This is being seen as a breakthrough initiative, particularly when other universities, and in fact the entire education sector, are struggling to develop their scientific research programmes. 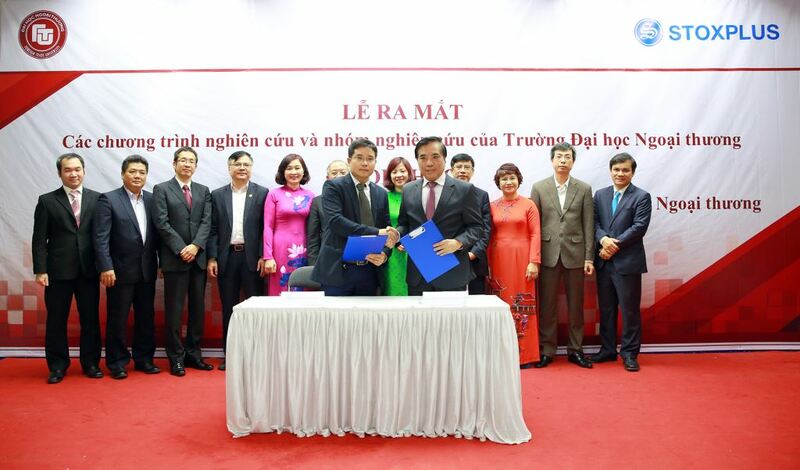 The State Securities Commission’s (SSC’s) head of the Office, Nguyen Tien Dung, highly appreciated the co-operation between the Foreign Trade University and StoxPlus, saying it was comprehensive and covered scientific research which will help the State in applying the results in the decision making process. The co-operation not only produces excellent academic reports but also generates practical benefits for the securities sector, Dung added. He said the SSC helped select the topics, score the research papers and will consider using these research papers while formulating plans for the development of the securities sector. The SSC also appreciated the efforts of various individuals and organisations to set up research groups to improve the efficiency of the financial and monetary market. The co-operation between the Foreign Trade University and StoxPlus will serve as an instrument for the SSC to update its current market database. The market data will be now part of a well-organised and well-managed system, he added. As one of the major channels to mobilise capital for socio-economic development, the securities sector needs to improve its operational and market trading aspect in order to attract more investors. In 2016, Viet Nam was one of the five stock markets in Asia that registered the highest growth.